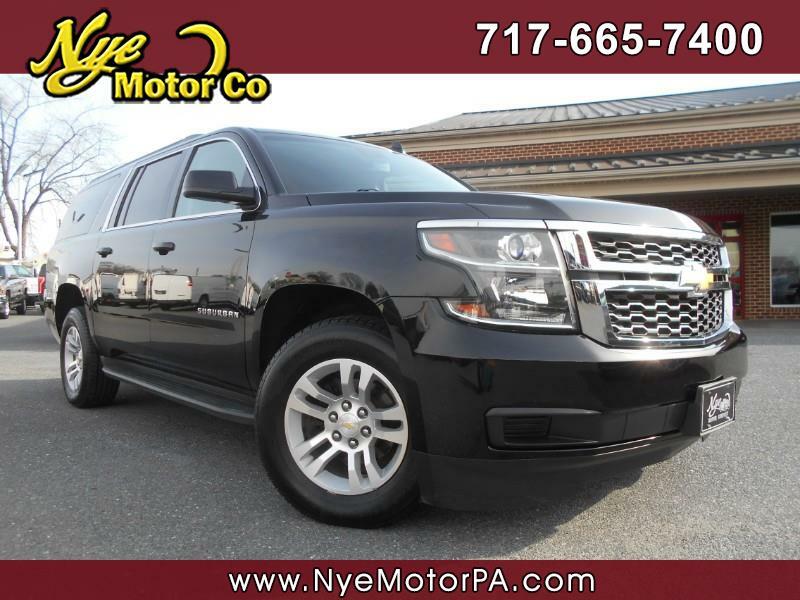 Used 2015 Chevrolet Suburban LT 1500 4WD for Sale in Manheim PA 17545 Nye Motor Co.
****CLEAN VEHICLE HISTORY REPORT****NAVIGATION****REMOTE START****4-WHEEL DRIVE****SEATING FOR EIGHT****MUST SEE**** Beautiful 2015 Chevrolet Suburban LT 1500 with only 74K miles! Loaded up with Navigation, Bluetooth, Heated Leather Seats, Sync, USB, Aux Audio Jack, Dual Climate Control, Collision Detection, Automatic Headlights, Power Memory Seat, Tow Hitch, Onstar Capable, Bose, Remote Start, Power Options, and More! Under the hood sits a healthy 5.3L, V8 engine paired to a smooth shifting automatic transmission.